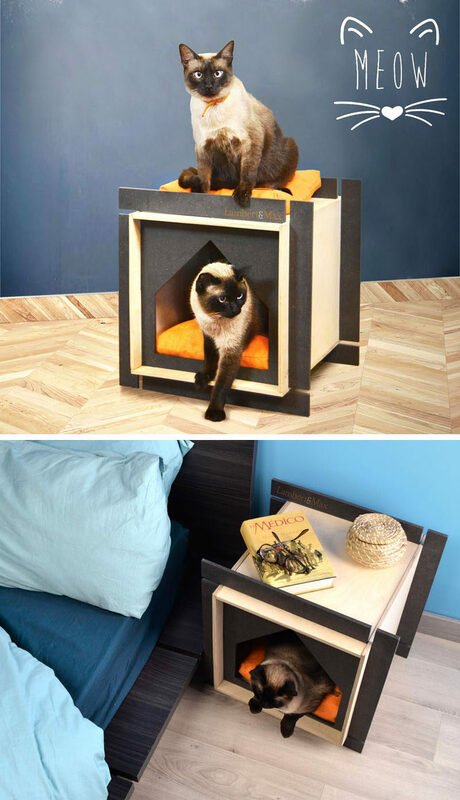 Inspired by the lack of modern pet houses on the market, pet furniture company Lambert&Max created a line of pet houses for cats and dogs that feature clean and simple designs, that are made from birch plywood and wood fibers. Named after the highest peak in Switzerland, the Dufour house was inspired by the simplicity of squares and straight angles. 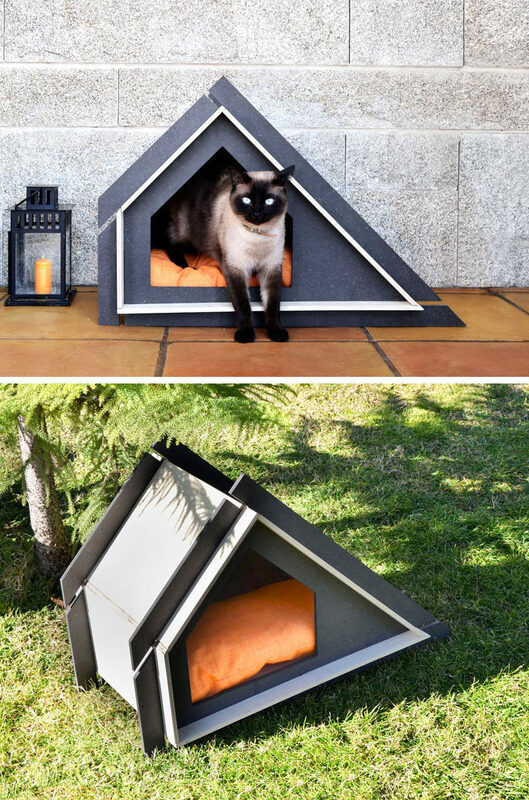 The cubic home features a simple house-shaped entrance that leads into a private and protected shelter while the top of the house is left exposed and can be used for lounging in the sun. 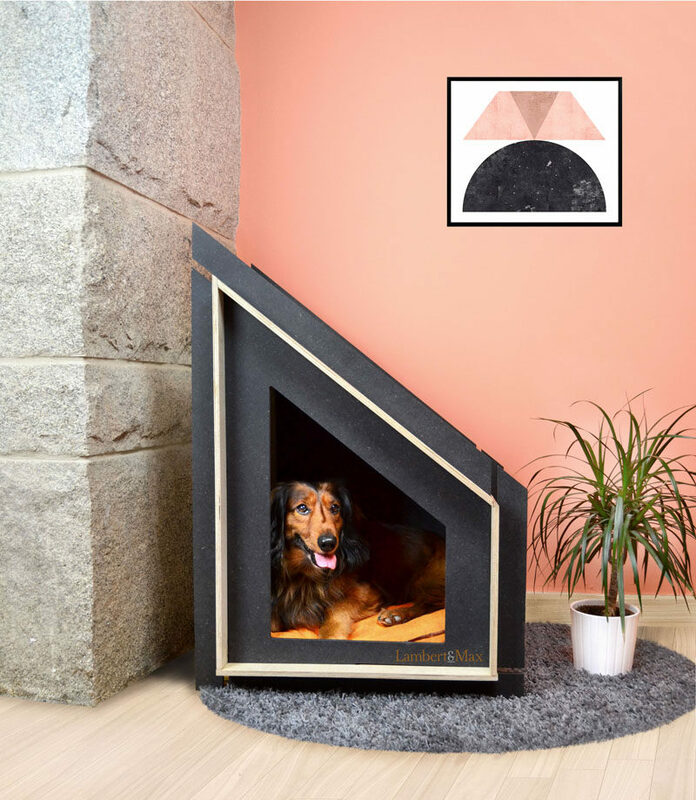 Like the famous Swiss mountain known for it’s steep north face, the Eiger house has an angled form that creates a more private interior perfect for pets that like to hide away. 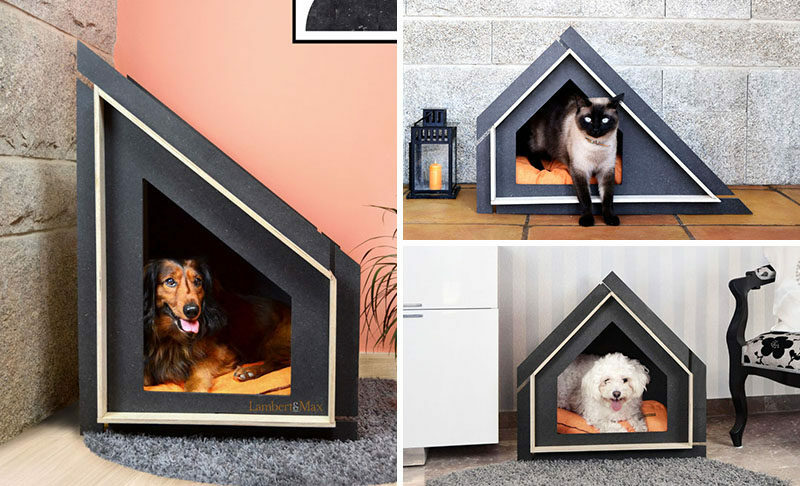 The Jungfrau pet house, named after one of the most iconic peaks in Switzerland, is a minimalist version of a classic dog house. 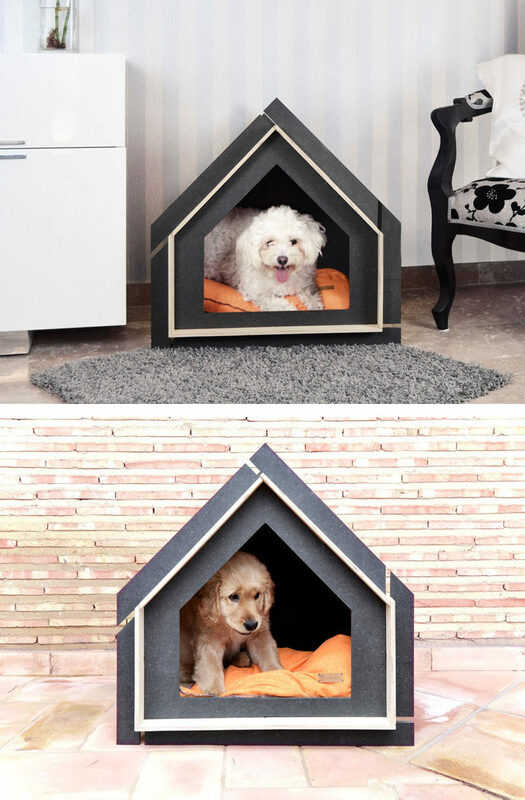 A single peak in the middle of the roof and the clean lines of the design give the pet house a simple, timeless look. Inspired by the look of the Matterhorn mountain in Swiss Alps, the Matterhorn house has a steep angle and an entrance that follows the roof lines.